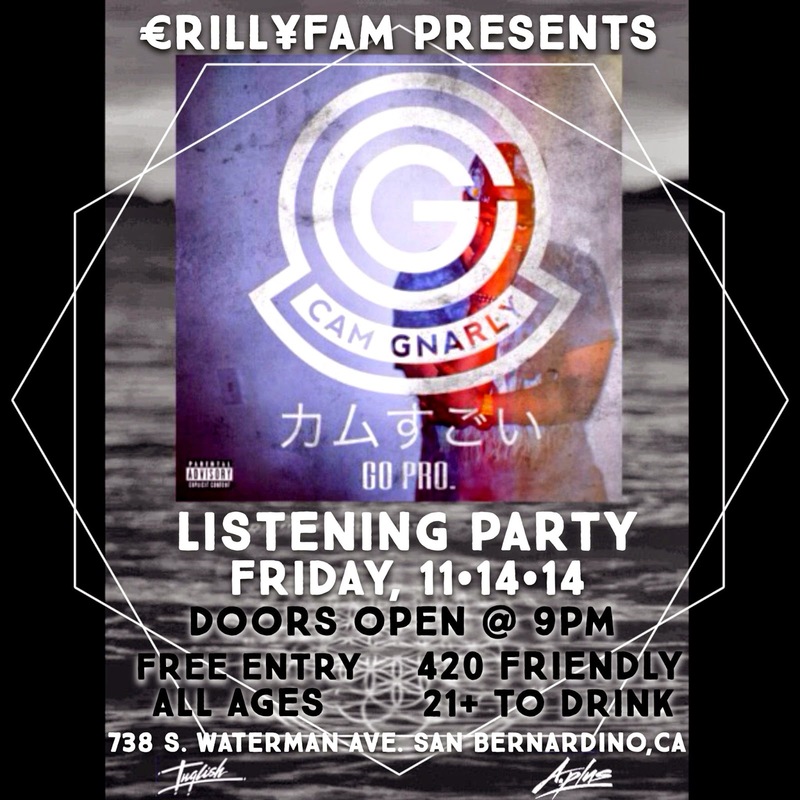 €RiLL¥ FAM PRESENTS AN EXCLUSIVE LISTEN OF CAM'S LATEST WORK IN HIS HOMETOWN OF SAN BERNARDINO, CA. ​w/ DJ SET FROM INGLISH & APLUS. COME PARTY & VIBE OUT TO THE ECLECTIC SOUNDS OF THE POSI GOD'S #GOPRO. PROJECT.